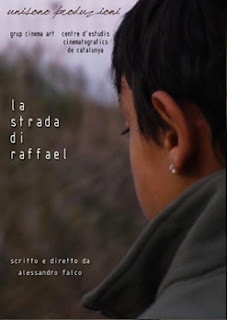 NMIFF welcomes the entry of a short film "La strada di Raffael : Raffael's way" from Italy, DIRECTED by Alessandro Falco. "Raffael is a 13 years old boy who lives in the suburbs of Naples. From 12:00 to 3:30 p.m. and from 7:00 p.m. to 9:00 p.m. he sells cigarettes in a street corner with his friend Adama. They are rehearsing to play music at the village’s festival. Meanwhile, police and demonstrators have been struggling for days after the Mayor's decision to evict a compound of apartments. Raffael is waiting with anxiety for his mother to return home."